CALICUT AM. 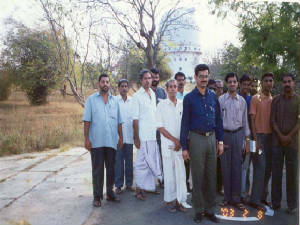 ASTRONOMY CLUB MEMBERS AT VIENU BAPU OBSERVATORTY,KAVALUR,TAMIL -NADU,INDIA. T.A.Gafur in a low cost telescope making workshop conducted by the Regional science centre,kozhikkode. Now astronomy ts one of the most advanced sciece and without it it is impossible to teach and learn modern sciences like physics and mathematics. Sometimes it is the oldest sciece that mankind used in his daytoday life. From the early times people used the knowledge of stars to find directions, to tell time and to forcast weather for cultivation. But now some people are forgeting the stages that passed to reach these devolopments. 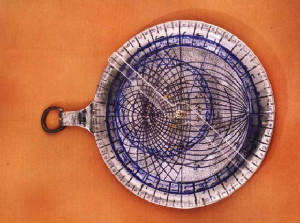 This site may help to learn the past days of astronomy up to a limit. Shadow calculation song of Malabar to calculate Assr prayer time. Umar qadi of veliyankode wrote a song in 19 th century used Malayalam and Arabic words to calculate the prayer time of Assr or afternoon prayer.It is on the basis of approximate assumption that aperson's shadow is equal to eight feet to his foot. Assr prayer time is when the shadow of a thing becomes the length of his height.Usually the Sun transit through the zenith of a place in equitorial region is only in two days of a year. For the remaining days of the year it is to find ways and elders used this song to calculate Assr time till the arrival of modern pendulum clocks and wrist watches.When I was a child I have seen my grand mother meassuring the shadow to tell Assr time and I collected these verses from her . She expired in februery of 2006.
and Chettuwa told Qadi bin Ali.